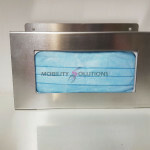 Medical mobile drip stand for hospitals and clinics, stainless steel with 4 hangars and weighted or unweighted bottom. 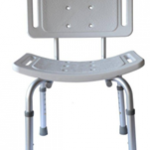 Mobility Solutions medical drip stand consists of a 5-star counter-weighted plastic base with 5 x castors with a 25 mm diameter pillar and a 304 grade stainless steel top pole of 19 mm. Our medical drip stand is 500mm longer than the usual drip stands used in wards. Infusion drip hooks attached are made from 4 x stainless steel (grade 304). SKU: Drip Stand. Categories: Drip Stands / Holders / Supports, Theatre Equipment, Ward Equipment. Tags: drip stand, Infusion stand, Medical Drip Stand, mobile drip stand. 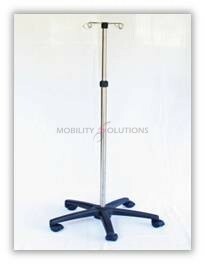 Medical drip stand for hospitals and clinics, stainless steel with 4 hangars and weighted or unweighted bottom. 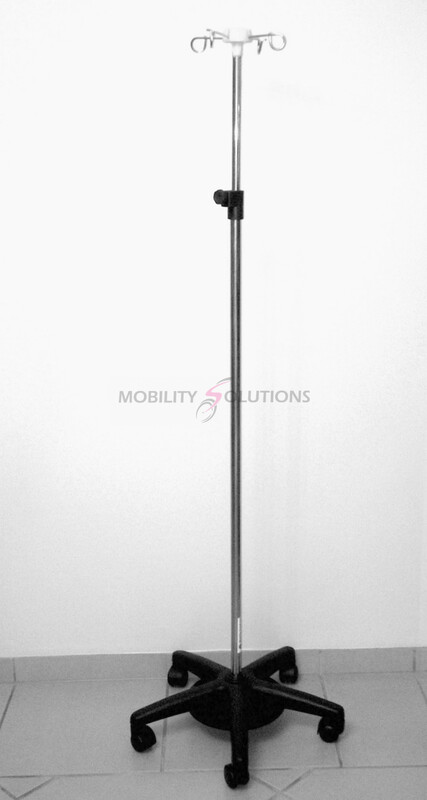 Mobility Solutions mobile medical drip stand consists of a 5-star counter-weighted plastic base with 5 x castors with a 25 mm diameter pillar and a 304 grade stainless steel top pole of 19 mm. 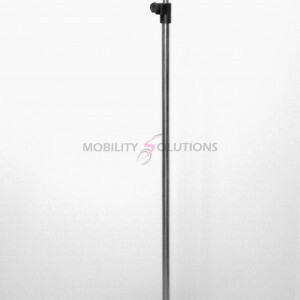 Our medical drip stand is 500mm longer than the usual drip stands used in wards. Infusion drip hooks attached are made from 4 x stainless steel (grade 304). Safety feature of stop valve when releasing the turn knob, so holder is unable to accidentally drop down – no more bruised or cut hands as it will automatically stop 100mm from the release knob. Easily accessible hooks which are easy to clean and made from stainless steel 304 grade metal. Only grade 304 stainless steel tubing is used.